Love this easy ghost craft Jacob made at school. It’s great for preschoolers to practice cutting skills. Just draw a ghost shape on a plain piece of white paper and two eyes and a mouth on a piece of black paper. Once you draw the shapes then have the child cut the pieces out. 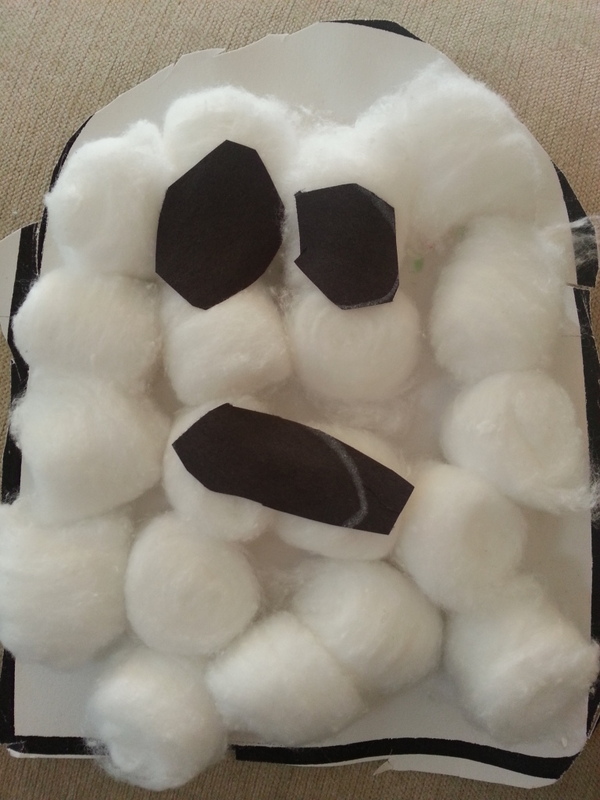 The child can use glue to cover the ghost shape with cotton balls. Then have them glue on the eyes and the mouth. oh my gosh-that’s adorable!! my little guy would have so much fun making that. thanks for sharing this cute craft!